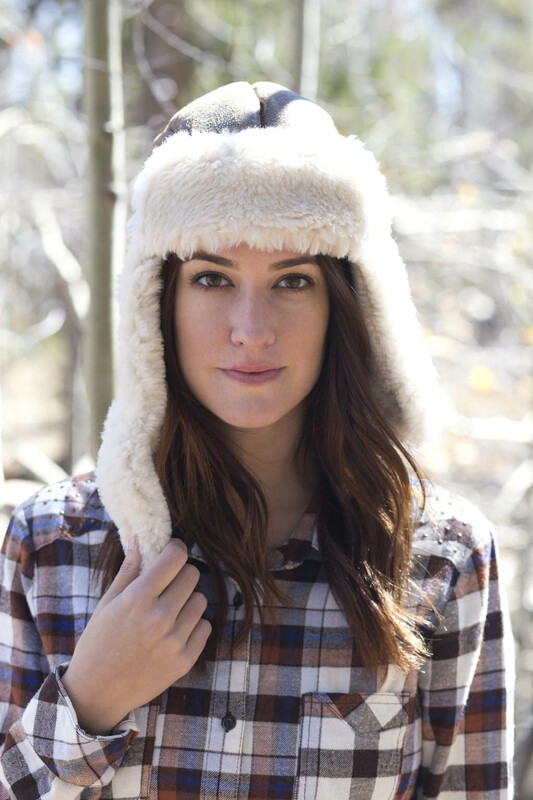 The Sheepherder provides a full collection of fine sheepskin outerwear and accessories for men, women and children. Find custom, handcrafted sheepskin jackets, vests, slippers and more. A sheepskin garment from The Sheepherder is a practical luxury and an investment in beauty and comfort. The Sheepherder offers a wide variety of custom-tailored men’s, women’s and children’s shearling apparel. Our handmade sheepskin jackets and vests are made to fit per your specifications. This allows you to create a truly custom, one-of-a-kind sheepskin garment unlike any you will find off the rack at an average sheepskin provider. The Sheepherder also offers a full selection of sheepskin accessories, including handmade sheepskin slippers, shearling mittens and gloves, cozy earbands and hats, and sheepskin blankets and quilts. Or, choose from our unique selection of stunning elk skin vests for men and deer skin vests for women. All of The Sheepherder’s sheepskin coats and shearling vests are handmade in the USA. 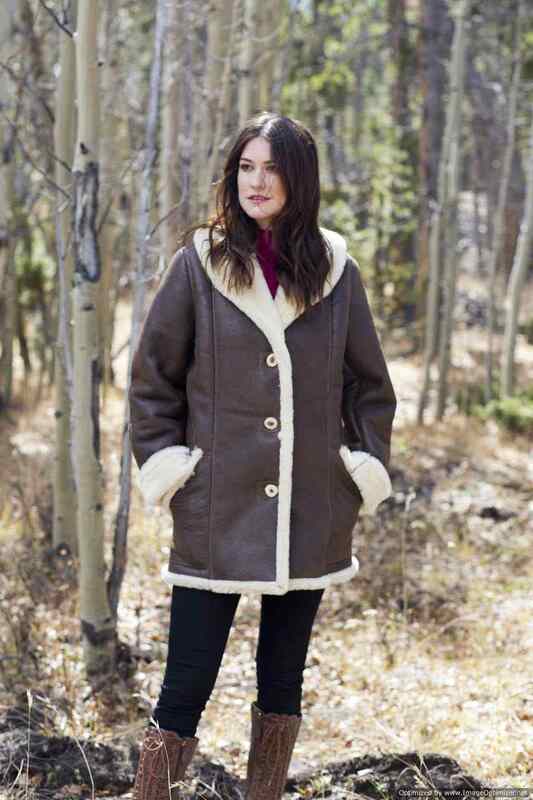 The Sheepherder is located in the historic town of Alma, Colorado, and is locally owned and operated by Diane Blessing, who has been creating sheepskin garments for over 30 years. All items are individually handcrafted by Diane herself with shearlings from America’s finest tanneries. Shearling garments from The Sheepherder…personal luxury, comfort and the ultimate in warmth. This shearling vest is the most versatile as well as the best selling in our ladies sheepskin outerwear collection. Dress up or dress down, this vest works both ways. It’s a slim and form-fitting silhouette that hugs your body. This women’s sheepskin vest features wool-out trim with loops and antler toggles for closure. All of our sheepskin vests are custom made to order. 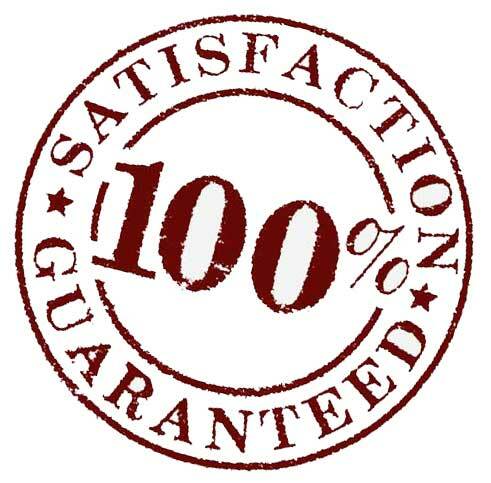 If you require a size not listed we can do it: Please call to discuss. This sheepskin coat is made of the finest shearlings available for warmth and handsome good looks. The Colorado men’s shearling jacket has three panels of wool-exposed seams. An oversized shawl collar and large patch pockets battle those windy, blustery days. The cuffs feature a 3″ roll to complete the overall look. This sheepskin coat is cut longer and a bit more boxy and fits well on larger, taller men. The rugged outdoorsman, working ranchers and chair-bound cowboys will all appreciate the distinctive design of this sheepskin coat. Trimmed in the front and around the bottom along with it’s exposed-wool seams, this sheepskin jacket screams versatility. Western accents on the front and back yokes add to the look. A notched collar, large patch pockets and 3″roll cuffs finish the design of this shearling jacket. Please be aware that sheepskin is a natural product and as a result, each hide may be slightly different in texture from the You might see marks on your product. These are not defects or blemishes. They are just part of the natural hide and makes each piece unique. Keep warm and toasty in the Mountaineer Sheepskin Vest. It features wool-out seams overall and side-entry hand-warmer pockets. This men’s shearling vest is cut two inches longer in the back for added warmth to the core of your body. The design keeps you toasty and warm for any activity you engage in. It is also available with finished seams on the body for cleaner lines. Handcrafted elk antler buttons and loops finish the vest. If you require a size not listed we can do it: Please call to discuss(719-836-3383). This kid’s bomber hat is styled as a replica to match Mom or Dad’s hat. It has the same sheepskin strap that allows you to fold the shearling hat earflaps up or down and keeps your chin warm in addition. Your child will be the hit of any outing as well as the warmest in the crowd when they are wearing this adorable sheepskin hat. Match it with the Buckaroo Vest and mittens for a complete set. Please be aware that sheepskin is a natural product and as a result, each hide may be slightly different from the next. There may be slight variations in hue or texture. You might see marks on your product. These are not defects or blemishes. They are just part of the natural hide and makes each piece unique.